The design & construction of this beautiful walnut military flag case honors the service of a veteran of the United States Navy. 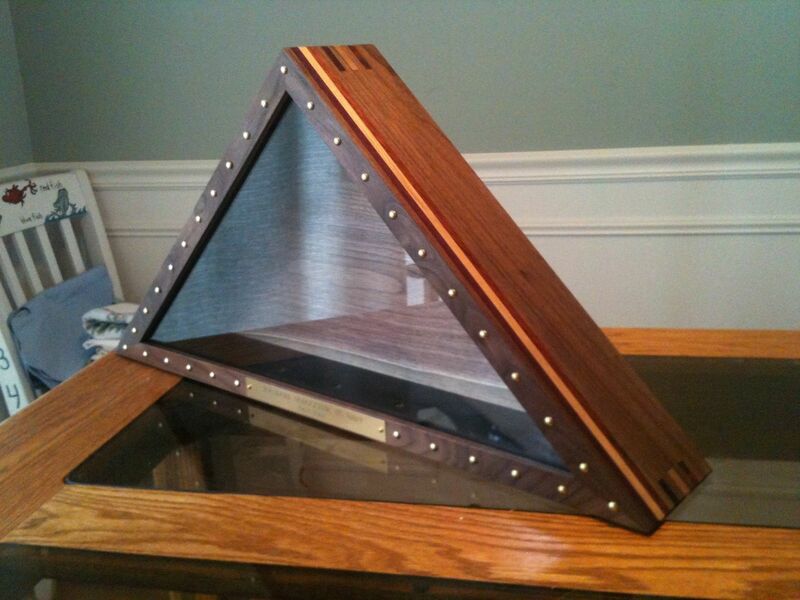 It is designed to hold the traditional military funeral sized US flag. The colorful wood striping represents the colors of the US flag & includes blood wood (red), maple (white), & purpleheart (blue). The front of the flag case is decorated with large head brass nails with an engraved brass plate that identifies the veteran's name, branch of service, & years of service. Steve was extremely courteous and prompt in completing the project, which turned out beautifully. We could not have asked for a better experience.